How much is Karen Valentine Worth? 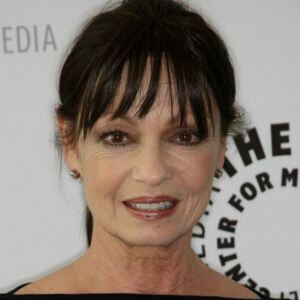 Karen Valentine net worth: Karen Valentine is an American actress who has a net worth of $5 million. Karen Valentine was born in Sebastopol, California in May 1947. She is best known for playing the role of Alice Johnson in the television series Room 222. Valentine represented California in the Miss Teenage America pageant. She was discovered by Ed Sullivan who saw her act and wanted her on his show. Her best known role came starring as Alice Johnson in the TV series Room 222 from 1969 to 1974. In 1975 she starred as Karen Angelo in the series Karen. Valentine has had recurring roles on the TV series Love, American Style, The Love Boat, and Chief of Detectives. She has also starred in the movies e'Lollipop, Hot Lead and Cold Feet, and Hill's Angels. Valentine has appeared in episodes of the TV series Starsky and Hutch, Fantasy Island, Walt Disney's Wonderful World of Color, She's the Sherriff, Murder, She Wrote, The Twilight Zone, The Untouchables, and Cybil. She won a Primetime Emmy Award in 1970 and was nominated for another in 1971 for Room 222. Valentine was also nominated for a Golden Globe for Room 222 in 1971.